We have a special area made just for teens! 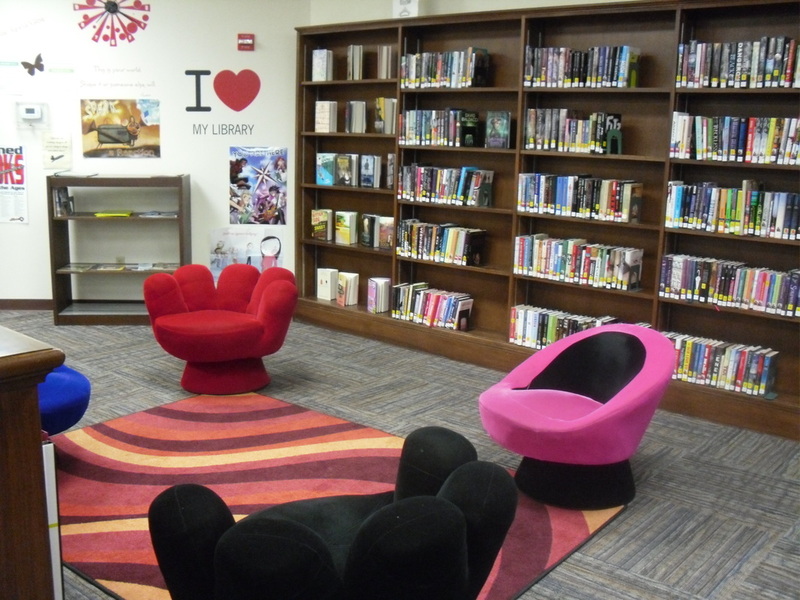 Browse our large teen book collection, and then enjoy the fun and colorful seats while reading a book or Snapchatting. ​CHESS CLUB - Do you enjoy a good game of chess? Are you looking for a fun and friendly match? Or are you interested in learning how to play chess? Be sure to join us for our evening Chess Club on the first and third Thursdays of every month! POETRY CONTEST - Open to all students grade 1st - 12th. Entries are due by 4 pm on Friday, April 12 and must include a cover sheet with the student's name, address, school, and grade. Finalists will by notified via mail with awards to be given out at a reception on Saturday, April 27 from 1 - 3 pm. Poems can be in a variety of styles such as haiku, sonnet, limerick, free verse, etc.